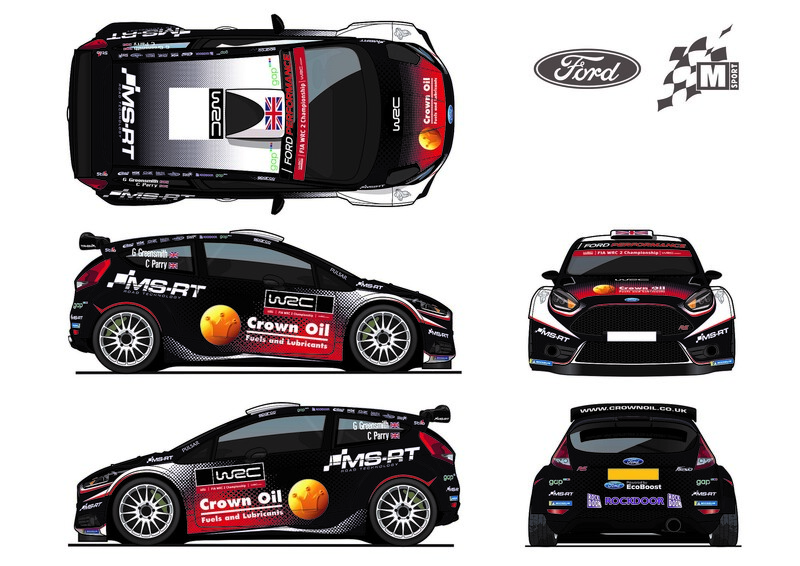 Gus Greensmith and co-driver Craig Parry have a busy 2018 ahead as they take to the wheel of the Ford Fiesta for nine FIA World Rally Championship events and a full campaign in the championship’s premier support series – WRC 2. The 21-year-old Brit will first take to the stages later this month – making his Rallye Monte-Carlo debut behind the wheel of the Ford Fiesta R2. Following advice from Team Principal Malcolm Wilson, he’ll use the outing to learn more about the challenging nature of the season’s traditional opener before being reunited with the EcoBoost-powered Ford Fiesta R5 for a further eight rallies. The Brit will start his WRC 2 campaign on the gravel tracks of Rally Mexico. Having completed the recce last year, he and Parry will be well prepared to tackle the unique character of the Central American event for the first time in competition. Having shown impressive speed and progression throughout his maiden year in four-wheel-drive machinery, Greensmith’s potential is clear to see. If the young Brit can couple that with improved consistency, he will undoubtedly be one to watch in 2018. “It feels great to be back in the swing of things, but this time in the colour blue. It’s been a long time since Wales Rally GB and now I cannot wait to get back behind the wheel. “The 2018 WRC 2 Championship looks as though it’s going to be the most competitive yet and I’ve been working hard over the winter break for exactly that reason. I feel as though I’m going to be in a good place this year – mentally, physically, with Craig back by my side and of course with M-Sport, the reigning World Champions! “Last year I think I showed my ability to drive as fast, if not faster, than my competitors. Speed wasn’t the issue, but consistency was and that is the key to doing well in any championship. This year, I need to focus on consistently scoring strong points. “We’ve got a really good programme for 2018 and I can’t wait to get started – with nine rallies to plan and contest we’ll certainly be kept busy! “This will be my second year with Gus and it really was fantastic to see how quickly he progressed last year – a lot faster than any of us expected. He’s progressed in every area of the sport and it was great to see him mature not only as a driver, but also as a person.